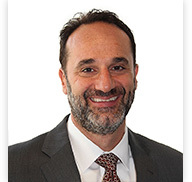 Mr. Galante is a founding partner of Aleshire & Wynder. His experience includes litigation of land use, civil rights, Brown Act, California Environmental Quality Act (CEQA) and public contract issues as well as transactional work. He serves as City Attorney for the City of Irwindale and Successor Agency Counsel for the Irwindale Community Redevelopment Agency, City Attorney for the City of Rialto and Successor Agency Counsel for the Rialto Redevelopment Agency, and City Attorney for the City of Chino. He also serves as General Counsel for the Orange County Council of Governments (OCCOG) and the Home Gardens County Water District. As City Attorney for the City of Irwindale, he has successfully assisted in resolving longstanding bitter disputes with some of the City’s mining operators, including by leveraging litigation successes against one such company to gain a favorable global settlement of disputes lasting over 20 years. He has negotiated and prepared several significant redevelopment and housing development deals for Irwindale as well as the City of Lynwood where Mr. Galante served as City Attorney and Agency Counsel for six years. Examples of such projects include successful developments of formerly mined or contaminated sites, multi-phase single family and multi-family affordable housing developments, large and small retail, industrial and automobile dealership developments, and a solid waste material recovery facility/transfer station development. Mr. Galante’s experience includes: advising cities on various issues, negotiating and drafting real property leases, redevelopment, solid waste, mining and other land use related agreements, and representing public agencies at open and closed session meetings and public hearings. He has managed several litigation matters, including challenges to denials of various permits and entitlements, breach of contract, nuisance, inverse condemnation, and civil rights matters. In his code enforcement practice, he successfully secured several jury trial verdicts. Additionally, he has secured two bench trial verdicts in contract disputes, writ of mandate proceedings, restraining orders against persons harassing public employees, and various dismissals before trial of cases initiated against his public entity clients. In his tenure as General Counsel, Mr. Galante helped OCCOG become a self-sufficient organization, funded by dues payments from its member agencies, which included all cities in Orange County, the County of Orange and special districts. He further advised the OCCOG in preparing the Sub-Regional Sustainable Communities Strategy for Orange County in accordance with SB 375, which was adopted in its entirety by the Southern California Association of Governments (SCAG) as part of SCAG’s Regional Transportation Plan/Sustainable Communities Strategy. He has presented several discussions on conflicts of interests, AB1234, California’s mining and reclamation law (SMARA) CEQA, and the Brown Act, including through The Lorman Education Group, American Planning Association, California Chapter, and Inland Empire City Attorneys’ Association. He has served as an editor of the Finance Chapter of the League of California Cities, Municipal Law Handbook. He annually presents on the Brown Act and distinctions between general law versus charter law cities at the Rialto Institute of Progress, recipient of the 2015 SCAG Visionary Award. Mr. Galante speaks Spanish fluently. He was born in Mexico City and moved to the United States when he was eight years old. He received his B.A. in Economics from California State University at Northridge in 1992 and his J.D. in 1995 from Loyola Law School and was on the Dean’s List at both institutions.